The sake calendar is a seasonal one. In Spring we see the release of the “new” sake, fresh off the press, straight to the bottle, summer is marked by the obvious summer sake releases but autumn is the business end of the sake calendar. Hiyaoroshi sees the best sides of sake: a combination of fresh youth and settled maturity. Hiyaoroshi specifically refers to sake that is stored for a period (usually around six months or so) to be released in Autumn without undergoing the usual second pasteurization procedure. As you may or not know, sake is usually pasteurized twice; once before storage and then a second time after maturation when the sake is bottled and shipped. In days gone by it would have been inconceivable to release unpasteurized sake any earlier than autumn as the summer heat could (and did) cause sleeping enzymes and bacteria in the sake to become active, throwing off the flavour profile of the sake. So after undertaking only the first pasteurization the sake was kept in cool storage in tanks (wooden in the old days) till release. Autumn was considered to be cool enough to take the chance of releasing the sake minus the second pasteurization without disturbing any sleeping enzymes, giving folks that zippy freshness of a namazake with the balance of a matured sake. Which makes sense except for the fact that these days refrigeration in breweries, restaurants, retailers and even delivery trucks pretty much means there is no reason why namazake can’t be released whenever a brewery likes. Which is what happens. However, I like to think of hiyaoroshi sake as the more balanced (due to the maturation) style of nama. Incidentally, the word Hiyaoroshi comes from the middle Edo period (1600’s to 1800’s). Hiya- as in chilled (cold storage) and Oroshi-unload/release. As in most years, bars and restaurants menus are loaded with hiyaoroshi releases, leaving livers wrecked and wallets lightened. But no complaints, it’s arguably the best time of year, the Christmas of the sake year? Alongside the hiyaoroshi labels Aki-Agari (autumn release) is a term often spotted. Essentially referring to the traditional release period for most sake breweries. Technically these once pasteurized sake can be released anytime of the year although the autumn image is strong for most consumers thus the lions share of these sake are released around this time. 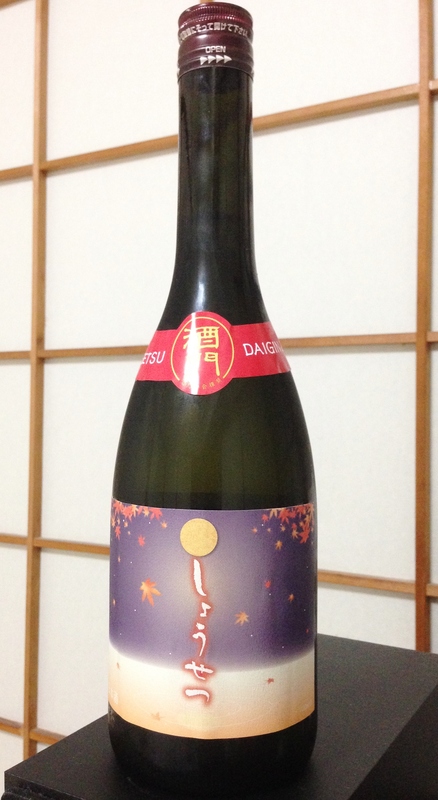 One such release that piqued my interest was an aki agari daiginjo from Shosetsu by Kanzawagawa Shuzo in Shizuoka. A highly perfumed aroma with candied hints of musk and passionfruit precede an impossibly soft, watery mouth feel with a steely palate of stone fruits. Quite an opulent sake for this time of year. Another curious little gem was from the comeback kids of Yamaguchi, Toyobijin. Made in collaboration with Imanaka Sake Shop in Osaka their junmai ginjo hiyaoroshi release is quite showy; candied floral notes and somewhat pretty in profile. Unabashed brightness and hints of sweetness but with a tight dry finish and low acidity presents as an easy guzzler for autumn. If there were a textbook style of hiyaoroshi sake I’d say Jozan from Fukui pretty much nailed it. Their tokubetsu junmai is a lively little number that beautifully balances all that is good about hiyaoroshi. The vibrant hit on the palate with the first sip is gently restrained into a focused balance of strawberry and melon fruit flavors finished short, dry and crisp. While there is always too much sake to try and too many sake events to get to this time of year, it’s hardly a chore. And as it all winds down the brewing season kicks in, the weather becomes positively chilly and yet another season rolls around and the anticipation of warmed winter sake becomes ever so irrepressible. Can’t wait! Where to next for Dassai? How pure is your Junmai?